One of my personal favourite food memories of all time was the first time I realised the potential of shopping at my local market in Florence and being able to speak to the other shoppers as well as the stallholders — only I didn’t think to write down all the gems I collected as I took in bits and pieces on what to do with artichokes or how to tell which fennel bulbs are the best. But my dear friend Giulia Scarpaleggia did. 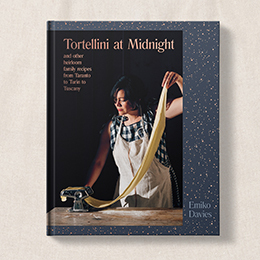 Not only, but she spent a year collecting the recipes and images inspired by trips to the Tuscan produce markets and put them all into a beautiful cookbook, La Cucina dei Mercati in Toscana, (“The Cuisine of Markets in Tuscany”) which was released in Italy in February this year by Guido Tommasi Editore. 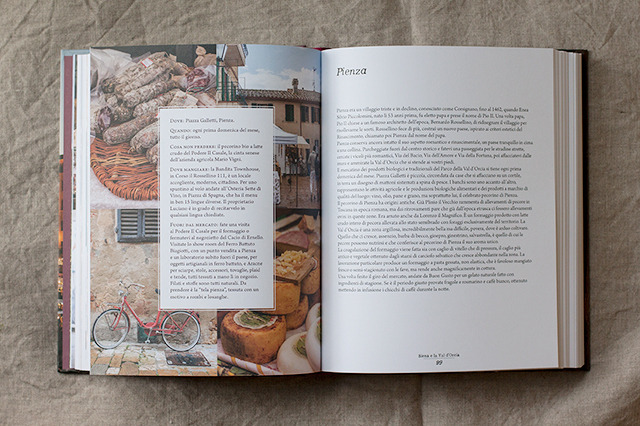 The book, separated into chapters based on different towns or areas of Tuscany (Florence, the Chianti, Siena, Arezzo, Lunigiana, Garfagnana, Pistoia and Prato, the Mugello, Lucca, Pisa, Livorno and the Maremma), talks about the markets, the special produce of each area and the recipes inspired by these things. 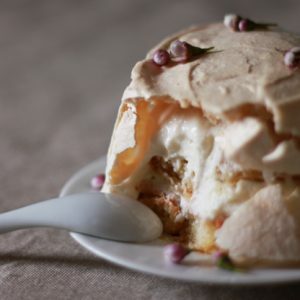 It highlights exactly what I love about Tuscan cuisine (or indeed any of Italy’s regional cuisines), that each town — not just each region — has its own, unique food traditions. It’s only available in Italian at the moment, but it’s such a treasure that I wanted to introduce English speakers to it by interviewing (a first for my blog!) 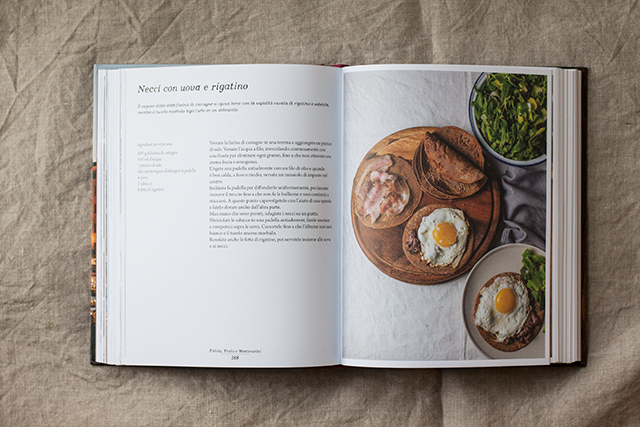 the Tuscan author on her process of creating this cookbook — from the idea to new discoveries to bumps along the way, along with some photos of a recipe from her book that I made, necci (chestnut crepes) with rigatino (think salty Tuscan bacon) and fried eggs. 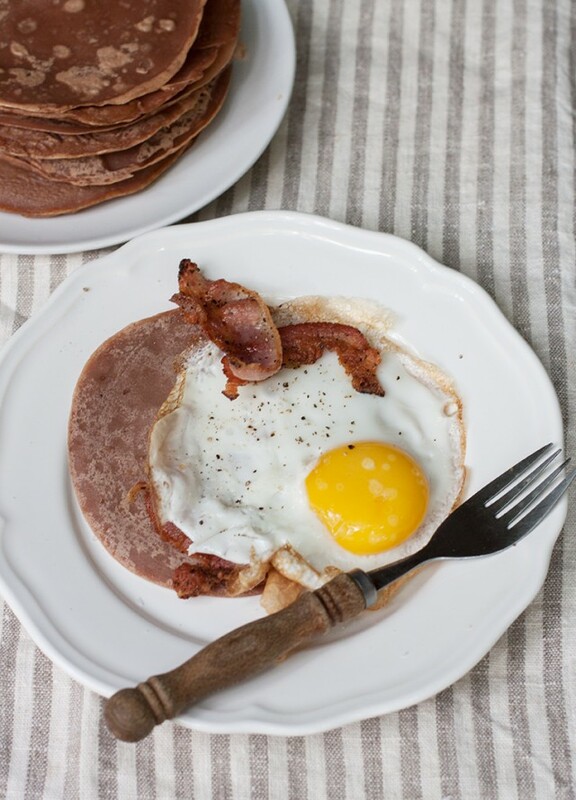 It immediately caught my eye because I love anything chestnut and anything with an egg on top. 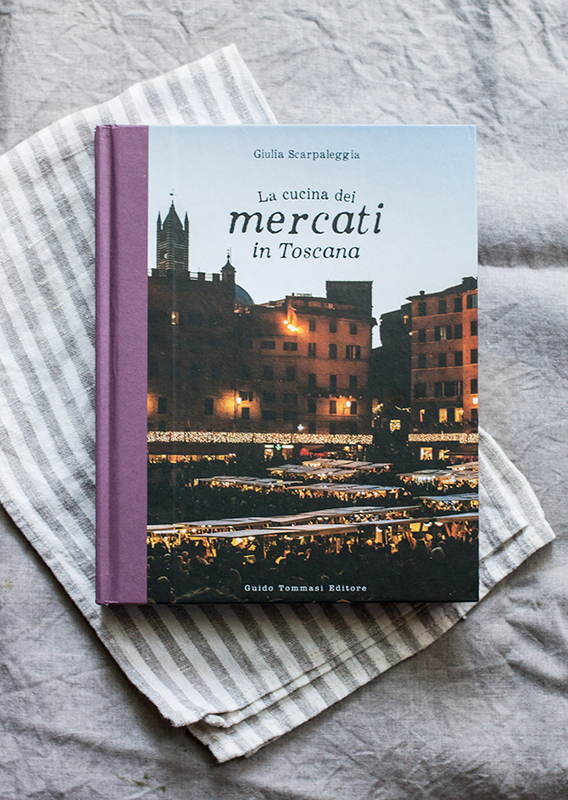 ED: I absolutely love the idea of a cookbook inspired by Tuscan weekly produce markets, how did it come about? GS: During my cooking classes I often visit local markets with my guests. I see how amazed they are by the seasonal produce, by the fresh fish from the coast and the wide selection of goat, cow and sheep cheese. Going to the local market is inspiring in the kitchen, too. Besides this, after a few times you become friend with vendors and farmers, and you start talking about recipes and ingredients. Queueing at the busiest stands, you eavesdrop pieces of conversations among the nonne who are shopping for lunch and you have the best insights on cooking techniques and family traditions. This is why after a while I felt the urge to write about Tuscan markets, to talk about my favourite ones and have a good excuse to explore Tuscany for more! ED: Talking to the vendors and farmers themselves at the market is such a great way to get inspired to cook the fresh produce they’re selling. I’d love to know more about how you came about researching and gathering the recipes in the book. ED: What did you find more inspiring – the produce, the people who you met at the markets or certain culinary traditions in the places you visited? GS: It is difficult to say, it was very different from market to market. Sometimes the produce was so inspiring that we came back home with a car full of fresh fruit and vegetables, local honey and cheese, fresh fish… and I got to go in the kitchen immediately to cook and test and eat. It was difficult to narrow down to a couple of recipes per market, as sometimes you would have needed at least ten! Other times, people were so inspiring that you would stay there for hours, just listening, as it happened in Viareggio, when we were invited on a fishing boat, in Mugello, when we talked with a famous gastronome, or in Maremma… well, we were together there and our excitement was so clear!! ED: Speaking with that lovely, elderly woman in Maremma in her kitchen was probably one of the highlights of my year! So I can understand how wonderful the whole experience must have been doing this research and recipe testing for your book. 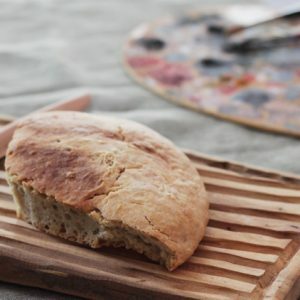 What were some new finds and unusual recipes that you came across while visiting different parts of Tuscany? GS: Lunigiana was probably the most exciting area, as it is very different from what you might expect in Tuscany. I tried there, for the first time, the barbotla, a thin and crisp flatbread with zucchini flowers, which is usually served with cheese and cold cuts, and the marocca di Casola, a chestnut flour bread. In Arezzo I found for the first time the sambudello, a local sausage made with the leftovers of the butchering of the pork, while in Volterra the most traditional cold cut is the mallegato, similar to buristo but more spiced and with the addition of breadcrumb, pine nuts and raisins. 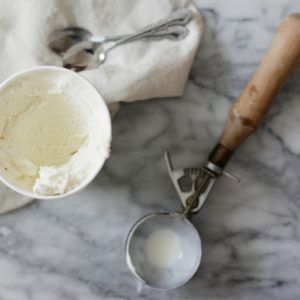 ED: To me that part, discovering new flavours and dishes, sounds like the best part of researching such a book, though I know from experience it’s not all so easy. I’m curious to know, where there any particularly big hurdles you faced or challenges you had in working on this book? GS: I guess the most difficult part has been choosing which markets to include and which recipes, as after more than a year of traveling through Tuscany, we had an enormous database of information, recipes, photos and stories that we desperately wanted to include. Pages are limited, though, so we reluctantly had to leave something out. It was also a lot of work, because with Tommaso we did everything, from traveling through markets to photographing the whole book, cooking, testing and writing. Sometimes I felt overwhelmed, like I could not see the end of it, but luckily those were just passing moments. ED: One of the things that I get asked about is what it takes to make a cookbook, and about the behind the scenes or collaborations involved in getting from an idea to the final book. 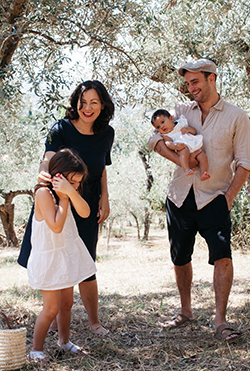 Can you tell us more about Tommaso, the other half of the Juls’ Kitchen team? I understand he took some of the photographs, as well as being chief taste tester! GS: And here we come to Tommaso. He’s been a driver, a photographer, a curious spectator, a sherpa (sometimes I lost control at the market and bought basketful of fresh vegetables), a cooking assistant, a dishwasher, a prop stylist, a proofreader, a psychologist and a therapist, and of course the chief taste tester! We worked together since the beginning, since when we began to shape the idea of this book together. Words are mine, I cooked and and I took all the food photos but he took most of the market photos. He is proud to say the the cover photo is one of his photos! GS: My favourite was the market in Livorno, as I have to admit that I love people from Livorno, so open, ironic and fun. 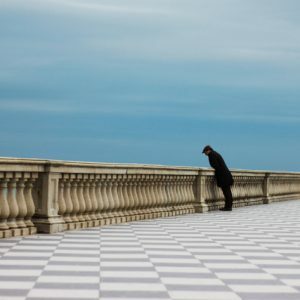 If in other markets I had to beg to take some of the photos, in Livorno people were reaching out to be photographer: dé, ma a me non me la fai una foto? And the market is also so colorful, alive, rich and real! As for the best looking market, I left my heart in Florence, at the farmers’ market in Santo Spirito, which is so picturesque and overflowing with flowers and fresh vegetables. ED: You can find out more about La Cucina dei Mercati di Toscana on Giulia’s blog, Juls’ Kitchen. She runs cooking classes in her home in the countryside near Siena (you can read my account of one of them here, though she has since renovated and rebuilt her beautiful studio) and has another cookbook available in English called I Love Toscana (2012), you can try out her pappa al pomodoro recipe from it here. Do you know if this book will be translated into English at all? Hi Rachel, it has only just come out a few months ago in its original form in Italian. I think the way it works is that an English publisher will have to take on the work and translate it then release it — fingers crossed that happens for the future for Giulia! Hope you liked the interview! Hello Rachel, hopefully within the end of the year! Fingers crossed! Thank you so much for giving me the chance to talk about all the creative process behind the book, loved your questions!